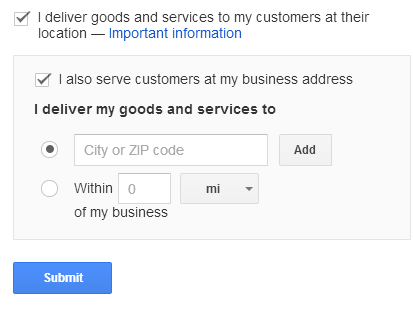 Follow each of the steps below (with screenshots) to claim, edit, and optimize your local Google Business page. Please note, Google updates it’s Business Pages system frequently, so apologies in advance if the instructions below fall out of date. they are current as of August 2014. 1. Start by going to http://google.com/places. 2. Search for your business. 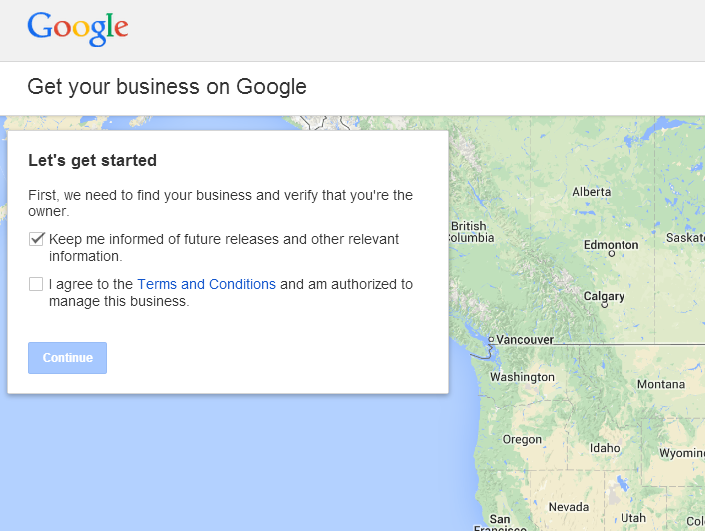 Enter your business name and search to see if it’s listed. 3. Find your business or add it if it is not present. 4. Add your business information. It’s recommended as a best practice to use a local phone number and area code, as opposed to a toll free number. 5. 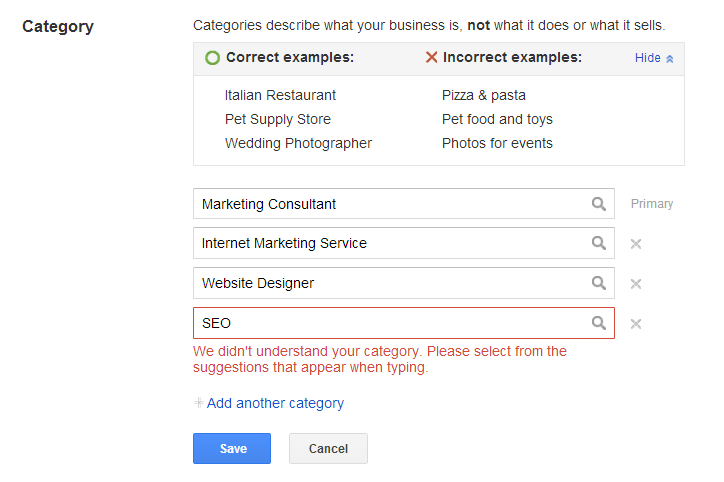 Select your business category(s). Many home-based businesses should not check this box. 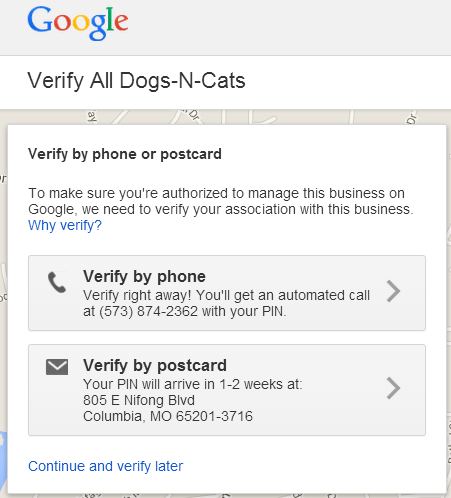 The next step is to verify your business listing, which you can do by phone or by regular mail. If your business has been verified already, you will see the message below. Hopefully, you’re the one who’s verified it! If not, you can “Request admin rights” by clicking as shown. If you select the option to “Continue and verify later,” you can make edits to your listing, but they will not appear until the listing is verified. 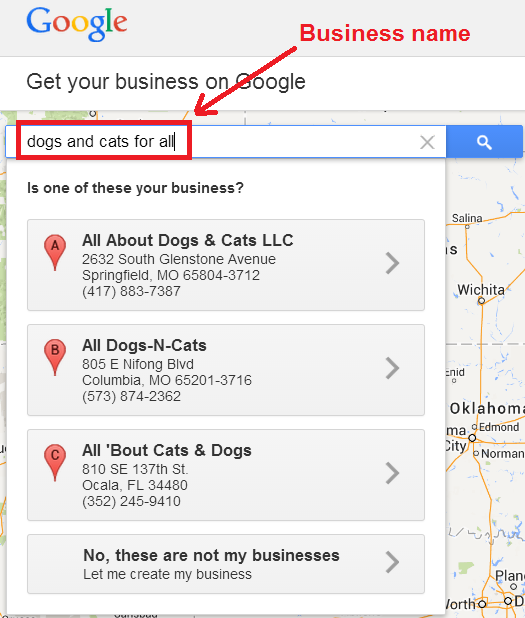 An optimized local Google Business listing is one that is 100% complete. 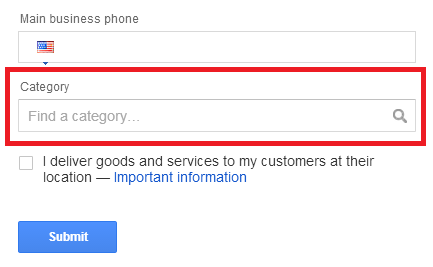 Continue following the steps below until you get this green bar in the top of your dashboard’s listing screen. Much of the advice below is common sense and comes from Google’s recommended best practices. Feel free to follow along as we add our insight where needed. Since I serve businesses all over the world, I had originally published my listing at the old Google Places with a 9,000 mile square radius. When Google moved to the new Places for Business format, my service area was updated to show 3,429 miles, which I’m assuming covers the United States, from Portland, Oregon where my office is. Use a local number for your phone number. For your website URL, use the actual website or web page affiliated with your business. Individual practitioners who do not share leads and who do not have their own website (like some real estate agents and lawyers), will want to list their website as the profile page they have at their company’s website. This ensures that any visitor who clicks through to their site gets the accurate contact information for the agent/lawyer, as opposed to going to the company’s main page, where the lead could be pooled and sent to any agent or lawyer in the office. In my case, it’s simple because I own and operate the business. Select an accurate email address that comes to you. It doesn’t have to be on domain, although that is preferred, if available to you. List your normal business hours. The old version of Google Places allowed for up to ten (10) photos. I’m not sure what the limit on the new version is. For one client, I’ve uploaded 16 photos so far. Choose images that represent your business well. In my case, I only have one photo that’s relevant. The “pending” note will go away when the description is approved. If there’s a violation of Google’s guidelines, they’ll let you know on your listing. Your competitors are outranking you. That could be due to any number of local search ranking factors. This is where you’ll want to call a local SEO and Google Places professional like me, so we can take a look at the problem and offer you a proposal to improve your rankings. 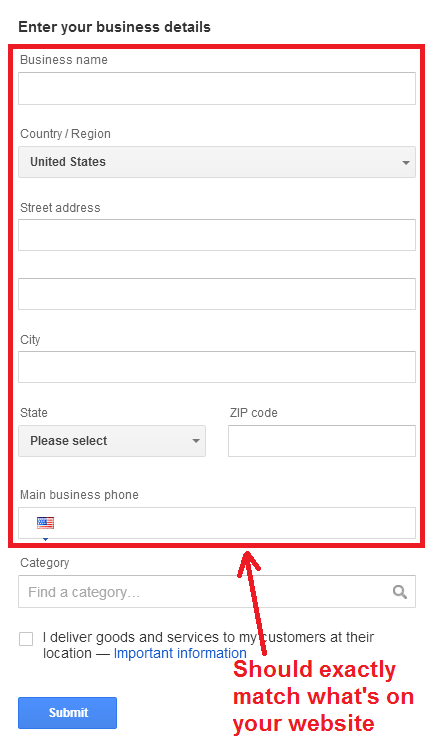 Getting Started With A Business Listing in Google Places For Business – overview of how Google Places for Business works. Google Places For Business Quality Guidelines – this is recommended reading for any business owner to make sure they are doing it right and following Google’s guidelines. Status of Edits In Your Google Places Listing Editor – explains the review process for any edits you make to your listing. Top 20 Local Search Ranking Factors – An Illustrated Guide – excellent resource that helps you understand what you can and can’t change.